Welcome to Turner Family Dentistry! At Turner Family Dentistry, we believe that every patient deserves a comfortable, high-quality dental experience. A cornerstone of the Union, KY community since 2007, our practice is dedicated to providing you with excellent, personalized care and service. 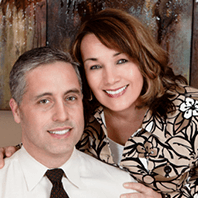 Dr. Bryan, Dr. Dedi, and our team regard your satisfaction as our number-one priority. When is the best time to see a dentist? Before you have a problem! That way we can keep your mouth healthy and most likely prevent problems in the future. However, when you need treatment, you can rest assured that the care you receive will be conservative and completely customized to meet your individual needs. We maintain high standards of care and provide comprehensive, state-of-the-art treatments to help you restore and protect the natural beauty of your smile. We also value your overall health, and that’s why we provide thorough evaluations, including oral cancer exams and digital X-rays when necessary. Every patient who comes to Turner Family Dentistry is important to us, and we look forward to welcoming you into our family of patients. Schedule a complimentary consultation at our Union, KY dental office today; we will give you a reason to smile! We believe passionately in being active participants in the community we have served since 2007. We provide support to organizations that are the fabric of our community. Our Goal is to help make the Union/NKY area a better place to live.